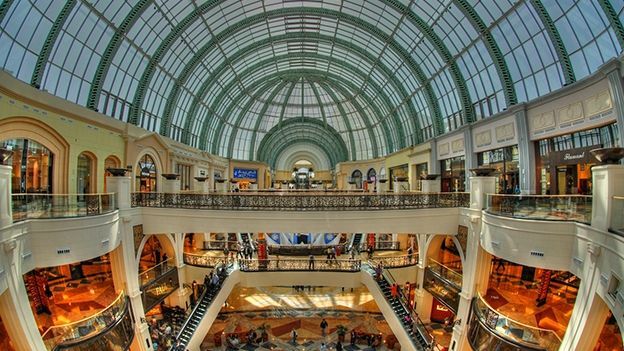 Apple is planning to open its largest store yet in Dubai, according to reports. Apple has already confirmed that it is planning to open its first store in the Middle East in the near future. And in the city that only does thing in super-size, reports have suggested it may be nearly twice the size of its current largest store. However, reports have suggested that the store may be the largest in the world, surpassing even its Grand Central flagship store in New York. The first reports of Apple's plans to open a store were published by EDGAR.com. It follows previous evidence such as job postings for various retail jobs in the country on Apple's website. Quoting a source, EDGAR said that the Dubai store would be opened in Mall of the Emirates, and would replace the current cinema complex. The mall is currently undergoing a major extension project, with the cinema moving within the mall. In a statement to Arabian Business, Apple confirmed that it will be opening an Apple store in the city in the near future. However, it refused to expand on that statement. “The United Arab Emirates is an important country for Apple. We launched the Apple Online Store, UAE in 2011 and it's one of our fastest growing markets around the world. “We look forward to opening a physical store in the region, and sharing Apple's unique shopping experience and services that have been incredibly popular around the world, in the near future." The announcement follows Apple CEO Tim Cook's visit to the country in February this year where he met Dubai ruler Sheikh Mohammed, as well as a number of Apple resellers. Apple's Grand Central store spans 23,000 sq ft. If the rumours are true, then it is likely Apple's store will be a similar size to the Virgin Megastores branch directly downstairs from it. The Virgin Megastores branch in Mall of the Emirates is 40,000 square foot – suggesting Apple's Dubai store could be almost double the size of its current largest store.